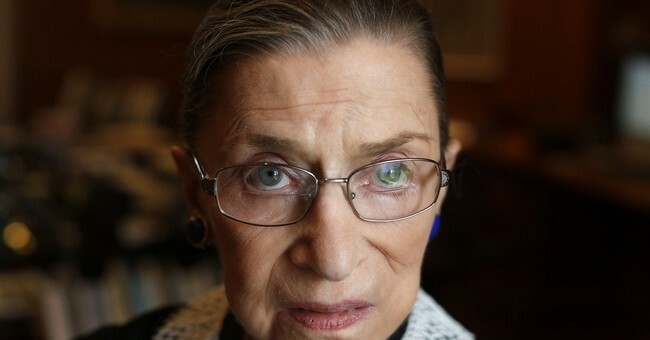 It’s not often that I agree with Justice Ruth Bader Ginsburg, but she was right for more reasons than she probably realized when she said last year that the Supreme Court’s 1973 decision in Roe v. Wade went “too far, too fast.” Roe protected almost all abortions from the democratic process and led to four decades in which, by even the most conservative estimates, 50 million American babies were aborted and pulled from their mother’s womb. And, now thanks to a revealing book out this week called Abuse of Discretion: The Inside Story of Roe v. Wadeby veteran attorney Clarke D. Forsythe, we know that Roe was not just one of the most controversial decisions in the Supreme Court’s history, but also a poorly reasoned rush to judgment based on a wealth of misinformation that has since been debunked. The first to look inside the Supreme Court Justices’ papers, Forsythe shows the liberal supporters of the decision made at least three shockingly erroneous assumptions. First, the Supreme Court justices thought the decision was good for women’s health. There was a widespread belief in certain quarters that “abortion was safer than childbirth.” In the past four decades, many international studies have shown the opposite. The incidence of sexually transmitted diseases and illegitimate pregnancies is likely higher than it would be if abortion were not available on demand. There’s also a risk of domestic violence against pregnant women who refuse to abort their babies. It’s no wonder that expectant mothers in countries like Ireland and Chile, where abortion is highly restricted, have better health than in neighboring nations where abortion is more widely available. Second, abortion advocates at the time of Roe were caught up in the wake of two decades of fear about a growing world population. A widely popular 1968 book by Dr. Paul Ehrlich declared that “the battle to feed all of humanity is over. In the 1970s the world will undergo famines – hundreds of millions of people are going to starve to death.” The Journal of the American Medical Association published an article warning “if we breed like rabbits, in the long run we have to live and die like rabbits.” The titles of popular books spoke for themselves. Ehrlich’s best-seller was called The Population Bomb. Another was titled Too Many Asians. In this vortex of fear about a near future in which there would simply be too many people on earth to feed, abortion seemed almost scientific, at least to those short-sighted enough to belief Ehrlich and his ilk. But we now know there was no “population bomb” (nor are there “too many Asians”). Yes, the population has grown, but famines and starvation did not. Instead, life expectancy and average incomes rose due to trade, technology, and free enterprise – not population control. Third, the Justices in Roe “thought they were riding a wave of cultural sentiment in favor of abortion,” says Forsythe. They never anticipated the backlash – the push for constitutional amendments, the thousands of people who march on the Supreme Court every anniversary of Roe, or the way the decision dominates the nomination process for Supreme Court Justices. The Justices made America one of only four countries where women can get an abortion for any reason after viability – the other countries are Canada, China, and North Korea – but polling for the past forty years shows that most Americans want abortion to be legal only in “certain circumstances” before viability. In September 2011, 62% of respondents in a CNN poll supported making all or most abortions illegal. Only 9% of Americans think abortion should be legal for any reason at any time. Among the influences on public opinion the Justices did not anticipate is the modern ultrasound. As the mother of two, I didn’t need a philosophy treatise to tell me that the child whose ultrasound picture hung on my refrigerator was a living human being. It is a shame that Roe was decided by old men who had likely never seen an ultrasound photograph, and it’s unfortunate that they were subject to misinformation about women’s health, population control, and popular sentiment.